In this post we’re going to introduce you to a new Otterbox Cooler. 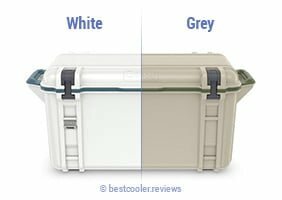 As you probably know, when it comes to buying a new cooler, one thing that you have to consider before making your purchase – especially if you’re new to the cooler game and aren’t as informed as the average ice chest buff – is how tough your choice needs to be. 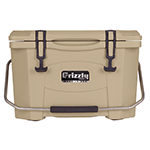 No matter how many items it can hold and the type of items you can store inside, your ice chest of choice needs to be able to handle the worst that life can throw at it, whether it’s the rain, wind, hail and debris that outdoorsman encounter on hunting and camping trips or the craziness that partygoers and athletes can encounter when trying to have a good time. 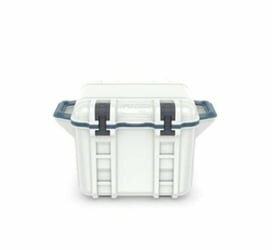 Newbies in the cooler world no longer have to worry about that, as there’s a heavily qualified candidate when it comes to durable, long-lasting and useful coolers in the form of OtterBox Venture ice chests. OtterBox aims to keep food and drinks as cold as possible for as long as possible, no matter the situation, and the outside is designed to make sure that nothing dents the cooler or forces it to open and spill everything out, thus ensuring your good time is unaffected. In case you’re wondering how seriously OtterBox takes this objective, then consider the glass and cases that it makes for phones and similar products to ensure that all customers can rest easy about the chances of their items breaking. Just a heads up, we’re giving OtterBox’s Venture line a 4.6/5 in overall, and we’re here to provide a guide that lets you know what it has to offer to earn this rating. In case you need a bit more information on the quality of the OtterBox Venture cooler, you can always check out our lineup table, which details what this brand has to offer in prices, sizes, ice retention, durability and other significant factors. Both average joes and veterans in the ice chest game will benefit from such data to compare to brands that they are more familiar with. Anyone who is looking to support American-made products and is tired of having to buy their favorite products from overseas will be happy to know that OtterBox has its Venture coolers made in the United States. Based in Colorado, this company knows what effects nature can have on the toughest of items, so it has added features to ensure that everything in your ice chest is safe and sound, including latches for keeping items locked inside and integrated handles that make carrying the ice chest much easier and help avoid dropping it by providing the comfort that can be missing from rope handles. If you’re worried about the rain getting your cooler wet enough to slide down a hill or a patio, OtterBox has you covered with anti-slide rubber feet so that it stays exactly where you put it. A mounting system is included so that you can include whatever extra accessories you decide to add to your cooler, which will save you the hassle of putting them in an extra bag or your pockets. The bottom of the interior is also slanted so that you have an easy time getting rid of extra water at the end of the day. When it comes to additional features, the Venture brand takes other cooler needs that customers usually have into consideration, including avoiding mixing up items so that things are easy to get when you open the ice chest up. For this case, the Dry storage tray (5) and cutting board (6) allow you to separate food and drinks however you please, whether it’s based on occasions for the day or who you are having over for a certain get-together. A bottle opener (4) is included so that you don’t have to ask your friend for a spare when you find that beer you’ve been looking for, or run into the kitchen at a barbeque and find one in the cabinets. The inside comes with three slots to make it even easier to organize whatever you put inside, though the Separator (1) is sold separately. This should come in handy for when you want to keep those extra snacks you’ve been saving from falling out of your pocket. However, given the price, which we’ll discuss later, forking over a few bucks shouldn’t be much of a problem. Add up all of these additions, and you get a 4.6/5 for features. A major concern that most people have when purchasing a cooler is making sure that their food and drinks stay cold for as long as possible, as we all hate having people over a party and worrying that guests will be treated with nothing but warm beers and sodas. Fear not, as the Venture cooler will keep your items cold and in prime consuming condition for between 10 and 16 days, depending on which one you buy. This gives the Venture line a 5/5 for retention and should work out for those who have a long vacation planned with friends and/or family, especially if a lot of that time is going to be spent outside. Several features are included to provide this ice retention, such as polypropylene shells that are built on the inside and outside, seal and latches made of silicone to make sure the cold air stays inside, and two-part polyurethane insulation for proper air in the ice chest. Stainless steel pins combined with polycarbonate and ABS latches also provides a hand in this category, as does the Nylon drain plug for getting rid of whatever melted ice is left over. TIP: Did you know you can use ice packs along with the regular ice to increase ice retention times a bit? We have a post covering recommended cooler ice packs, check it out. 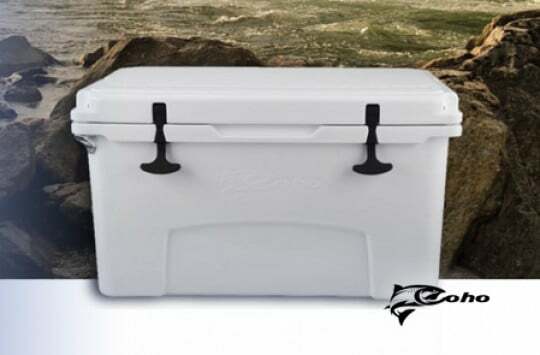 Several size variations are available for the Venture cooler so that customers have choices and an easy time carrying their ice chest no matter what they pick. The biggest option, the Venture 65, weighs 32.95 pounds and comes with an exterior dimension of 40.01 in. x 18.76 in. x 18.83 in., an interior dimension at the top of 27.92 in. x 11.67 in. 13.30 in., and an interior dimension at the bottom of 26.72 in. x 10.60 in. x 13.30 in. The Venture 45, weighing in at 26.37 pounds, measures 31.39 in. x 18.76 in. x 18.83 in. on the outside, 19.30 in. x 11.67 in. x 13.30 in. on the inside at the top, and 18.10 in. x 10.60 in. x 13.30 in. on the inside at the bottom. The Venture 25, the smallest at 16.79 pounds, has an outer dimension of 26 in. x 18.76 in. x 16.08 in., an inner dimension at the top of 13.89 in. x 11.67 in. x 10.56 in., and an inner dimension at the bottom of 12.73 in. x 10.60 in. x 10.56 in. 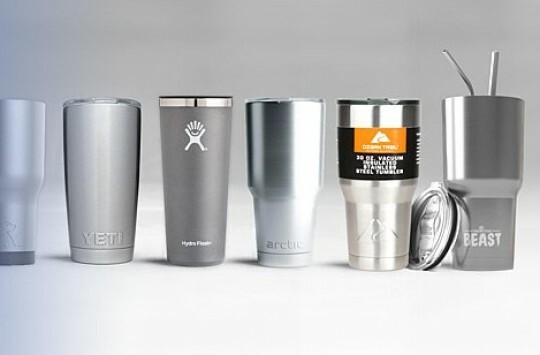 When it comes to colors, the Venture’s options are only white and grey, which shouldn’t be an issue if performance is your priority and you don’t need your cooler to stand out too much from others at parties and hangouts. 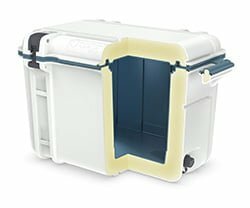 The Venture cooler is a reliable option when it comes to being able to use your ice chest for as long as possible, as OtterBox provides coverage with any issues from manufacturing for a lifetime. 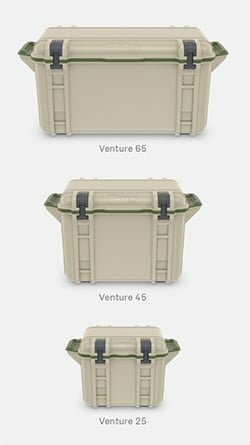 This Limited Lifetime Warranty puts the Venture line on par with Siberian and Pelican, both of which have a warranty that lasts a lifetime, and ahead of Coleman Esky, which has you covered for six years, Yeti, which has you covered for five years, and RTIC, which provides you coverage for up to one year. The best coolers are the ones that can be used for different occasions, and that’s the case for OtterBox’s Venture ice chests, which can be surprisingly rare for even the most popular brands. 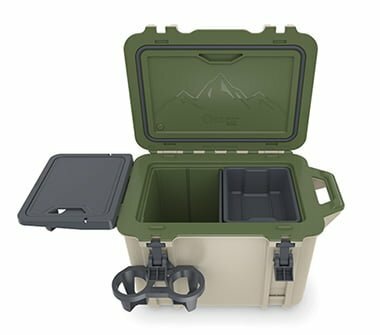 Outdoorsman can make great use of this ice chest, as it comes in handy for holding lunches and drinks while you’re out canoeing, fishing, kayaking or boating, while also holding game that you captured on a hunting trip. 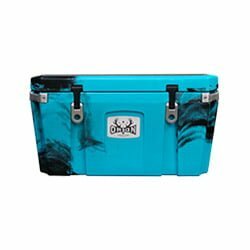 Sports lovers will have a great time with this cooler for tailgating and softball, soccer and touch football games with friends, and it’s reliable even for just a birthday or graduation celebration with friends and family. 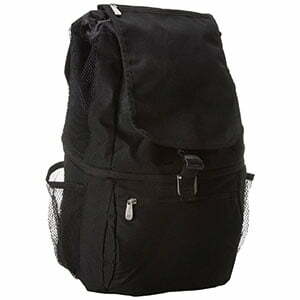 This multi-purpose capability gives the Venture cooler a quality rating of 4.6/5. If you’re trying to get your cooler out there to be among the best, you’ll eventually have to measure your options up against those of Yeti, the biggest name there is in this field. 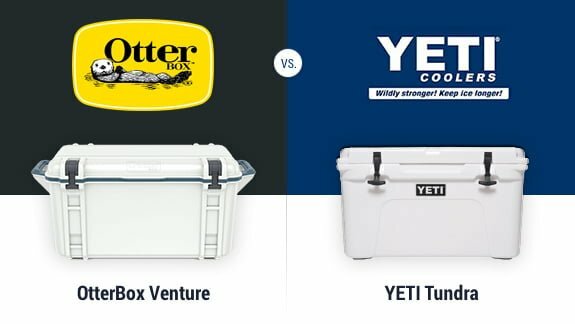 While Yeti edges out OtterBox in popularity, both brands have built a strong reputation over the years, and despite their differences, they have enough similarities to provide an even matchup. The main common element between OtterBox cooler and Yeti is the focus on outdoor use, as both options are fitting for those who have a week or two plan for hunting and fishing. The several days long ice retention in both brands allows customers to enjoy a well-cooked game at the end of their trips, and they are both designed to keep animals from getting inside and stealing your items, from raccoons to grizzly bears. Where Yeti proves to be way more reliable than OtterBox is in size options. 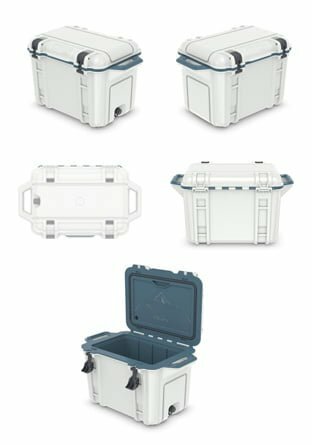 While the Venture line has several options that are all different while making it easy to carry the ice chest no matter the choice, Yeti has much more variety in this category, from the smaller Hopper and Roadie series to the larger Tundra series, with the biggest option, the Tundra 350, measuring 24.75 in. X 23.25 in. X 63.5 in. on the outside and 16.75 in. X 17.75 in. X 54.625 in. on the inside. The greater sizes are saved for a big game, while OtterBox’s options are fit for parties and similar occasions, which, despite having smaller sizes, gives the latter an edge in purposes. Where OtterBox wins is affordability, as its Venture coolers need you to fork over between about $280 and ~$450, based on what size you choose and the place you’re going to get them from. 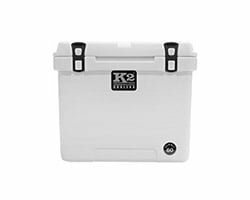 Yeti, on the other hand, has coolers that have equal prices but requires much more for its larger offerings, as the Tundra 350 is the most expensive ice chest it has at about $1300. All of this make OtterBox a a bit better fit for those trying to save a buck while out cooler hunting and so we give the company a 4.4/5 in the pricing category. Ultimately, when it comes to convenience and variety of occasion, the OtterBox Venture brand is a good suit, perhaps even better than Yeti. Yeti has a proven track record and can be reliable in situations other than hunting, but OtterBox doesn’t charge you as much for its offers and has plenty of features and accessories to make up for the lack of size. All in all, we think it’s worth to try out OtterBox’s Venture ice chests so that you can give your bank account a break while not sacrificing a fun trip or party in the process. 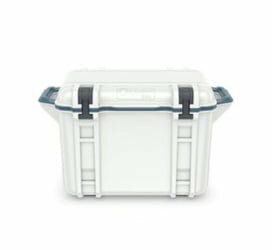 OtterBox Venture Ice Chest for Sale – Where to Buy? As with most items, Amazon has proven to be a reliable option by providing products at reasonable prices, including OtterBox coolers. Amazon has the benefits of the ability to return items if they don’t perform well and the chance to be a Prime member, which provides free shipping and other benefits. 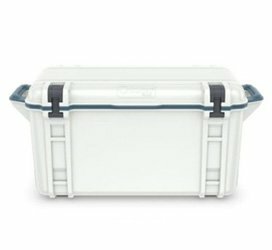 OtterBox’s website is also a dependable option for getting your hands on the Venture ice chests, as the prices are reasonable and the separate accessories are available along with the cooler. The Otterbox brand has you covered for the worst that nature can throw at you, and it can be used for a variety of situations, whether you have a tailgating party planned with your fellow football geeks, a hunting trip in the Rocky Mountains, or a birthday party for a friend or family member. If you like the cooler from what you’ve read here, why not to give OtterBox’s Venture coolers a shot the next time you experience the need for an ice chest. If you do, tell us what you think in the comments section below. Having a tough cooler that you can use for multiple occasions is not as easy to find as you would think, but now knowing of the existence of OtterBox’s Venture coolers should make that search easier. 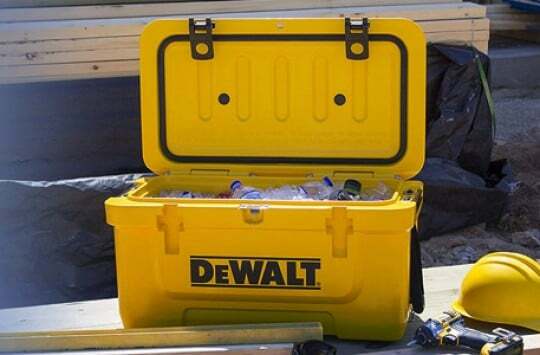 Although relatively new kid on the block, Otterbox’s ice chest is a surprisingly solid, well-performing cooler.